Watch today, Shoot tonight and Shine! Want to be a vital part of musical entertainment? 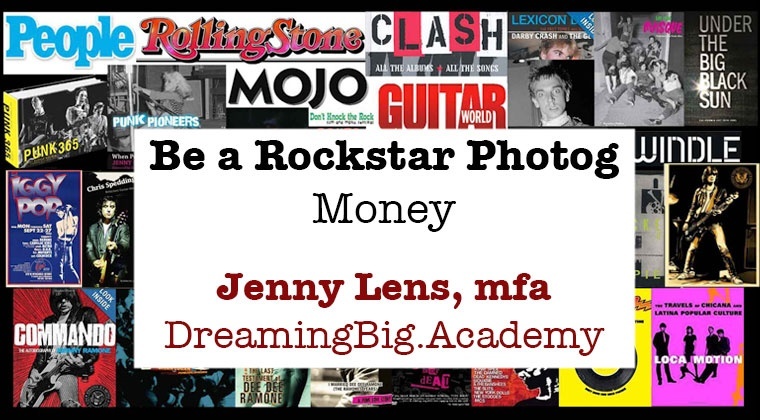 Want to know essential secrets and tips from the legendary, most published early punk photog, west coast, photos in major museums and merch? I was anointed "the girl with the camera eye" by punk goddess/godmother acclaimed Patti Smith. Whether you crave the excitement, creativity, thoughts of fame and fortune or curious and want fun, you'll gain valuable info and ideas. Get needed info before being disappointed! 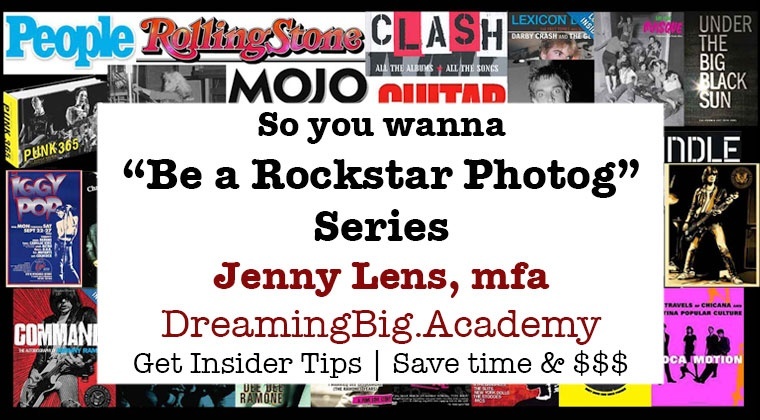 Watch, Shoot and Shine like the Rockstar Photog you want to be! ALWAYS the need for good photos. From large festivals or yard parties, garages, beaches, parks, bars, clubs, to wherever, photographers are welcomed IF done properly. No matter the music genre, rock to new age, country to pop, people and venues appreciate photographers who know what they are doing. You won't find anyone else with my experience sharing insider tips so YOU have more enjoyable times and experiences. Make memories and friendships to last a lifetime. UPDATE: WORKSHOPS LIVE end of April, 2019. Sign Up NOW for Introductory Prices!! WHY Several Workshops with Similar Topics? ALL the Workshops will save you time, money and stress. Inspiring, joyful and motivating. "What Camera?" 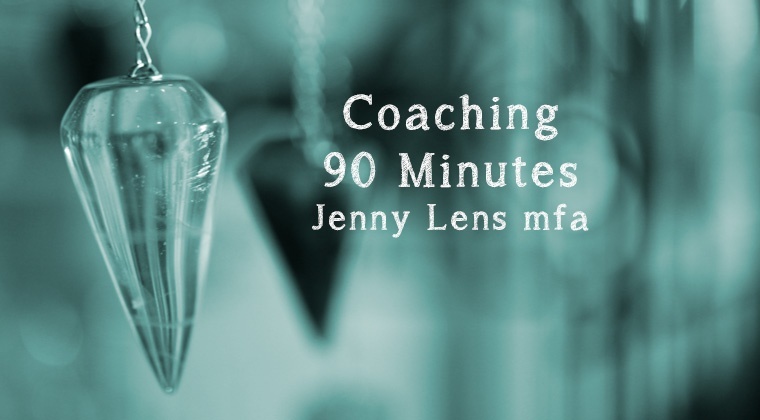 "What Lens" is a stand-alone Workshop for everyone! Focus on images, lenses and camera dials and settings. No charts, numbers or diagrams like you see everywhere. Just photos with explanations WHY you'd use this lens or that setting. Illuminating, fun, liberating. "Watch. Create. Shine" Workshops and Series are more comprehensive and detailed. Best to Read, Look, Watch info I posted. Still need guidance? No problem. Write me. Be specific. Thanks!